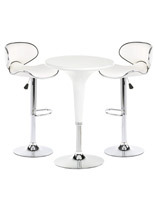 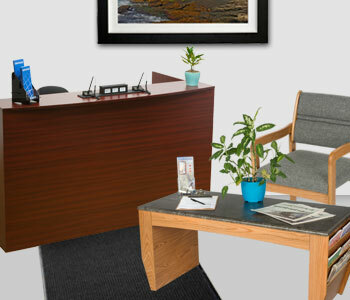 Purchasing food court furniture and displays is simple when you shop Displays2go.com! 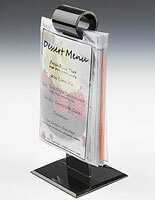 The wide variety of chairs, tables, condiment organizers, and menu boards are just a sample of what you will find in our hand-curated selection. 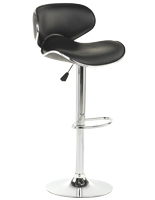 In fact, furnishing and decorating a food hall has never been easier because we offer everything in one convenient place. 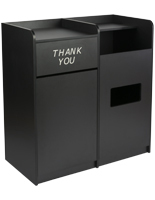 Shop anything from food court signs & furniture to trays, trash cans, and janitorial supplies. 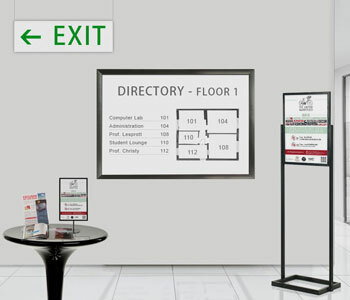 We even offer table tents and custom printed banners for food halls. 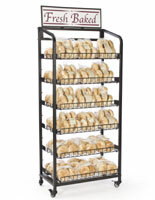 We have all the supplies you'll need needed to run an effective galleria food service area in your shopping center. 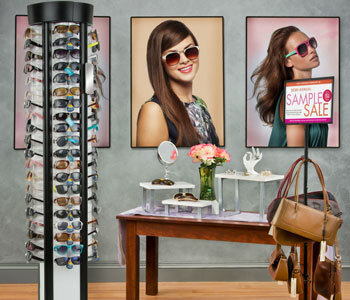 The complex nature of a food hall is one of the reasons this collection features so many products. 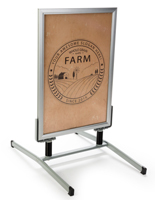 Signage is an important and essential tool for telling customers what food you have to offer. 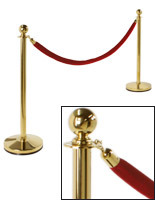 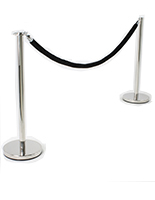 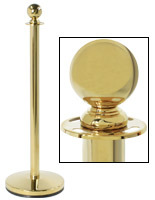 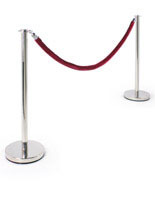 Food court stanchions help keep hungry crowds under control and are available in a variety of designs and configurations. 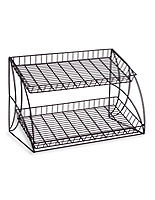 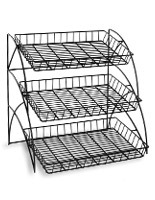 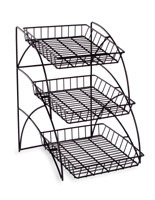 Display risers, trays, display cases, and utensil organizers are commonly situated at or behind the counter to streamline service. 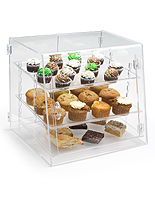 Bakery stands and beverage dispensers are great for organizing your foods and drinks while making them look that much more appetizing. 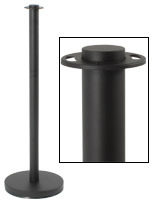 In short, there are a lot of different food court supplies to think about when outfitting your shopping mall's dining plaza. 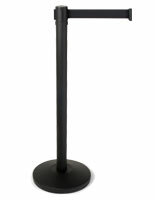 The first thing everyone sees while walking into a food court is the dining area. 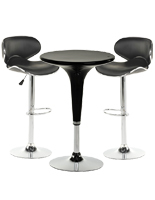 You want to make sure that your galleria's food service hall has great looking furniture and is able to accommodate mass amounts of traffic, especially during peak times like the holidays. 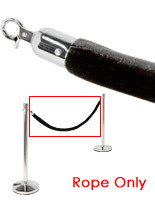 That means that you must have enough tables and seating for everyone. 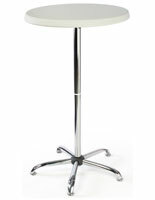 Flipper tables are popular because they can be flipped-up in order to make room for cleaning the eating area. 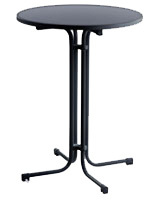 And don't worry about the tables rolling around once they're stored because the locking casters will prevent them from moving anywhere. 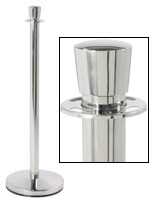 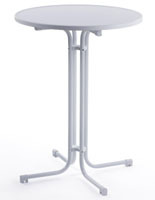 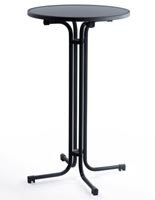 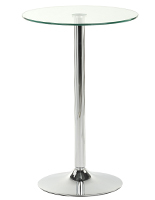 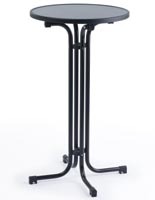 The food court flipper tables we carry come in different color and size options to best fit your existing decor. 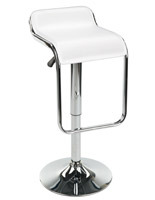 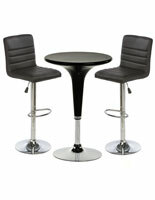 Bistro tables and food court bar stools provide a more intimate alternative to the flipper tables. 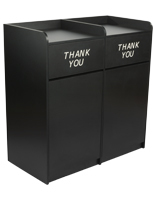 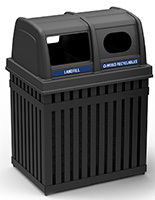 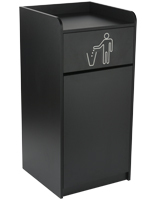 Other available food hall commodities include garbage cans, recycling receptacles, food trays, table tents for menus, hightop seating, and entry way mats. 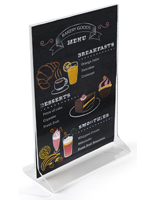 If you have an eating area outdoors, some essential alfresco galleria furnishings include table umbrellas, outdoor menu boards, café barriers, and printed banners. 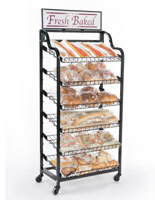 Behind the counter and in the kitchen, you'll find a different selection of products. 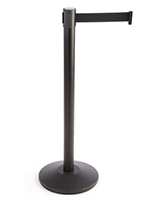 You'll want to make sure you are supplying the necessary food court equipment for your employees to do their jobs as efficiently as possible. 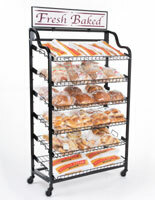 Food display stands, risers, bakery racks, and menu boards are needed to ensure that your customers understand what is available and even what the food looks like. 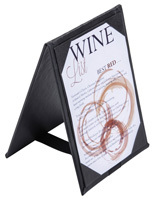 Traditional and digital display menu boards are a great way to present your customers with food options and pricing, while also allowing for the promotion of specials. 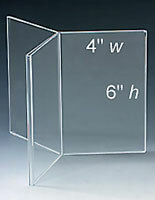 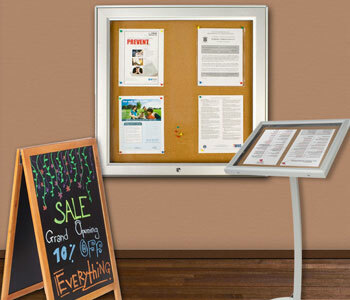 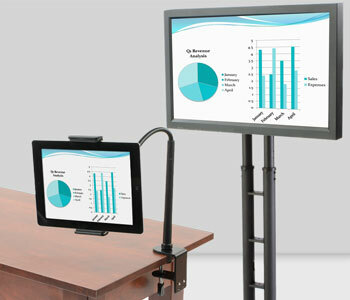 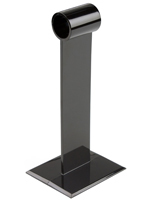 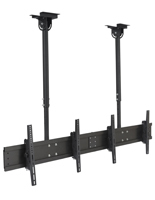 Digital display mounts are available in many types ranging from multiple monitor brackets to freestanding TV mounts. 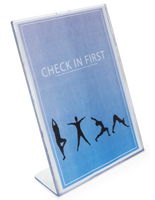 And with our pre-configured packages, setting up the ideal digital display for your food court is a breeze. 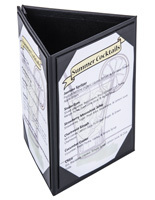 Once hungry customers have received their food orders, they made need a few additionally items for make their meals complete. 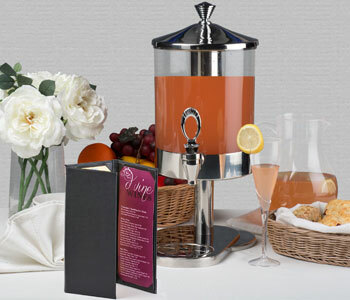 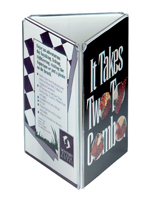 We offer a selection of condiment caddies and dispensers that work perfectly for food courts. 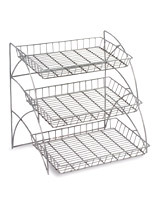 Place these utensil organizers and racks on tables with napkin dispensers as well as salt & pepper shakers and squeeze bottles. 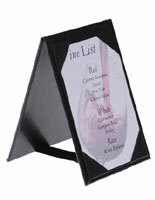 Food court trays will also come in handy as shoppers make their way to their seats with all of these items! 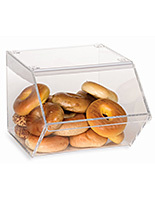 These cafeteria style trays make it easier for customers to carry large amounts of food to their tables, which is very helpful when they have large shopping bags or small children to contend with. 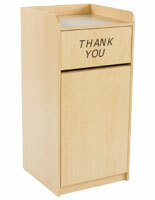 Keeping your food court restaurant and eating area clean is important for everyone. 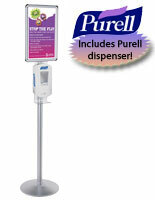 Hand sanitizers are also a great food safety tool to have to ensure your employees handle food in a clean manner. 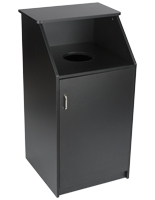 Additionally, these dispensers give diners a chance to clean up before heading back out to the mall's stores. 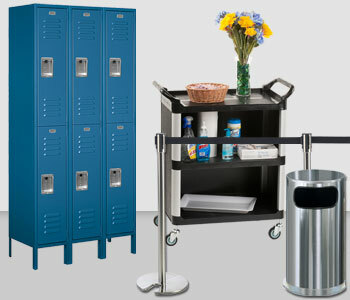 Janitorial carts and convertible hand carts are also available for any commercial cleaning and maintenance needs. 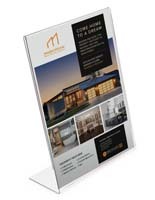 No matter what your food hall needs, we can help you find the best solutions for advertising, serving customers, and maintaining a clean dining area.